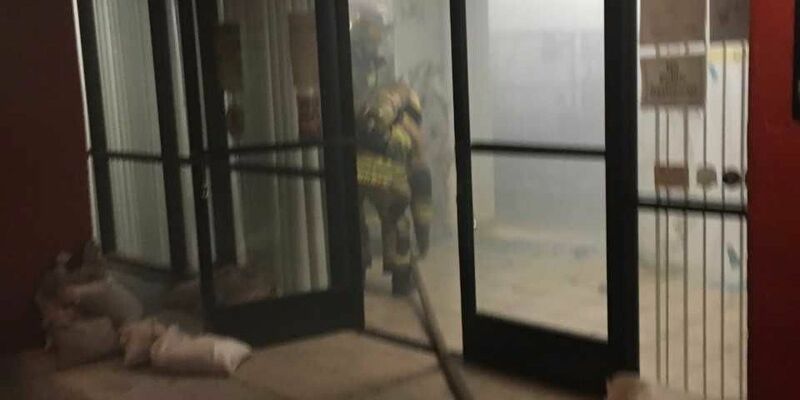 TUCSON, AZ (Tucson News Now) - Firefighters arrived just in time to see the sprinklers activate over flames in the administrative office of Visit Tucson. The fire alarm at 100 South Church Ave in downtown Tucson triggered a call to 911 at 6:38 p.m., according to a release from Tucson Fire Department. It stated firefighters arrived on scene two minutes later and had the situation under control 12 minutes after that. They didn't find anyone inside the building, but determined the fire started around some construction equipment. The cause of it all is still under investigation, according to the department's release. The department credits a working fire alarm and sprinkler system with saving property and lives from the flames.